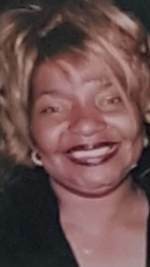 Claudia Reynolds Obituary - Toledo, Ohio | The House of Day Funeral Service, Inc.
at the age of 63.
and two Masters' degrees in Arts and Science and Psychology. met. She "loved to love" and made sure everyone around her felt the love. To send flowers to the family of Claudia Nadine Reynolds, please visit our Heartfelt Sympathies Store.